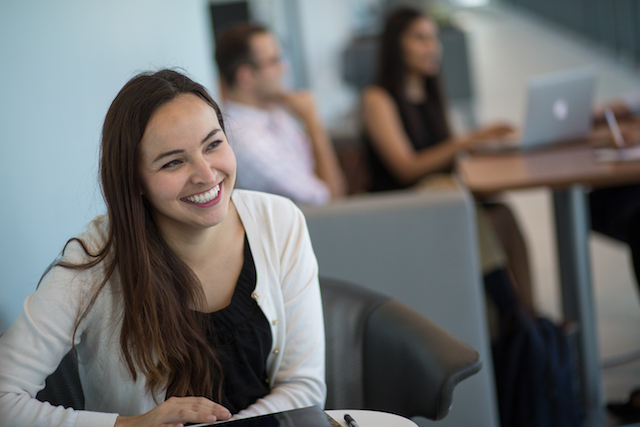 The Johns Hopkins Carey Business School strives to be a leader in business education and to be an inclusive and welcoming environment for students, faculty, and staff. The Women’s Leadership Initiative at Carey creates awareness of the essential role women play as leaders of businesses and society. We work to identify, research, and create opportunities for the vital discussions that need to happen around the opportunities and challenges women face as leaders. For questions about this initiative, contact Kristin Sneegas. More women occupy positions of leadership in today’s business world than ever before. However, women continue to face unique challenges that delay or stall their career advancement. In this interactive three-day course, participants will learn to hone their skills in negotiation, influencing others and leading groups and teams using exercises, discussion, and case studies as the foundation. Each participant will leave the course with the skills to strengthen their personal network and the ability to create and claim value. Through the power of storytelling, a group of Baltimore women shared their personal experiences as leaders in “No Limits: Stories about female leadership, creativity, and resilience,” held March 6 at the Johns Hopkins Carey Business School. The evening was presented by Women in Business, a student-led organization at the Carey that aims to bring awareness of women’s leadership to both students and the broader community. Personal branding requires that women rethink their brand story to expand beyond academic achievements and incorporate soft skills required for leadership. Being “first” in a chosen field or profession can be both exhilarating and daunting. For women in leadership positions, it can prove doubly challenging yet ultimately extremely rewarding. A diverse group of women leaders discusses how athletics and sports have contributed to their development as both leaders and executives. Research suggests that athletics can have a profound effect on shaping and nurturing leadership skills in women. 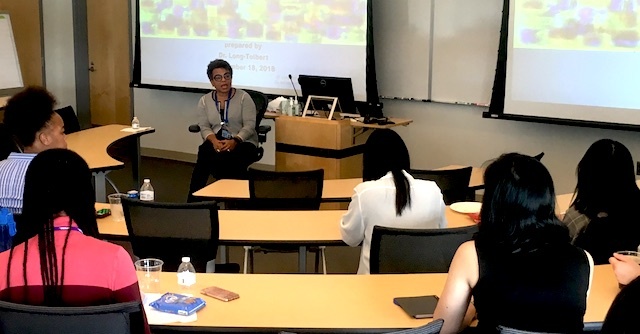 Former United States Senator from Maryland Barbara Mikulski spoke at the Carey Business School on a host of topics ranging from women’s leadership to the economy in a lively one-on-one discussion with Carey Dean Bernard T. Ferrari. Executives from Johnson & Johnson share their experiences as business leaders in an event was organized by Carey Women in Business. Women from leading industries and academic researchers in management science, business, technology, economics, psychology, and sociology discussed both the progress that women have made in attaining leadership and the barriers they still encounter.